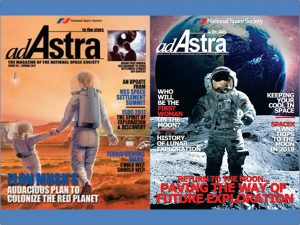 The National Space Society publishes the award winning space interest magazine Ad Astra . 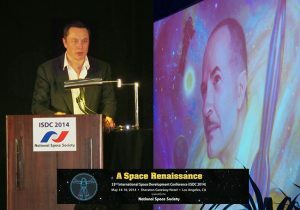 Additionally we organize and host the long-running International Space Development Conference. 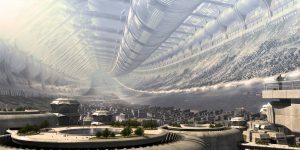 As of 2017, NSS initiated a new space conference – The Space Settlement Summit. In terms of educational outreach in local communities, NSS has an international network of chapters that anyone can join. 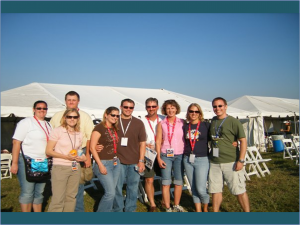 NSS is a leader in space related educational student outreach activities. 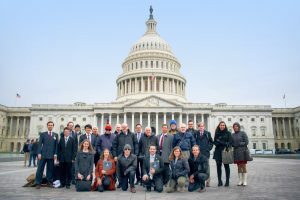 NSS is also active on the political front with the creation of numerous space policy position papers and supporting volunteers doing space advocacy. The NSS project Enterprise in Space is focused on launching an educational satellite and developing space related teaching materials. To further raise awareness and promote space development, NSS has organized and sponsored a number of contests. 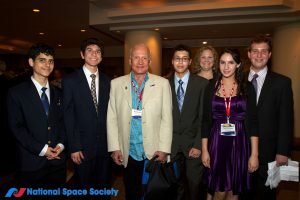 In photo astronaut Buzz Aldrin presents awards to students at the ISDC. NSS organizes a variety of projects to raise public awareness and promote space development. 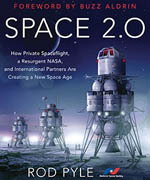 Shown is an NSS sponsored book written by Rod Pyle that documents the new age of space. 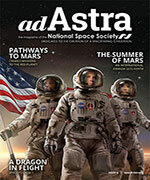 In addition to Ad Astra NSS publishes Ad Astra Downlink and the Space Settlement Journal. 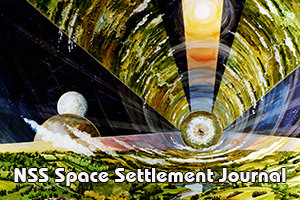 NSS honors leaders in space exploration, development, and settlement with a variety of awards. 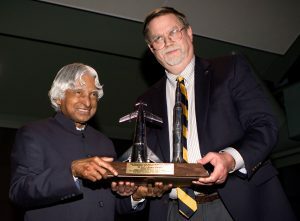 In photo Mark Hopkins presents the 2013 Von Braun Memorial Award to Dr. Kalam. 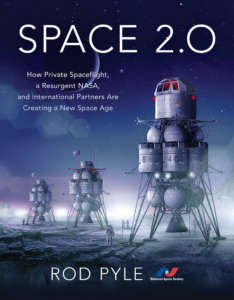 Lastly, as the principal non-profit organization advocating space development and space settlement, NSS prides itself on its thought leadership.